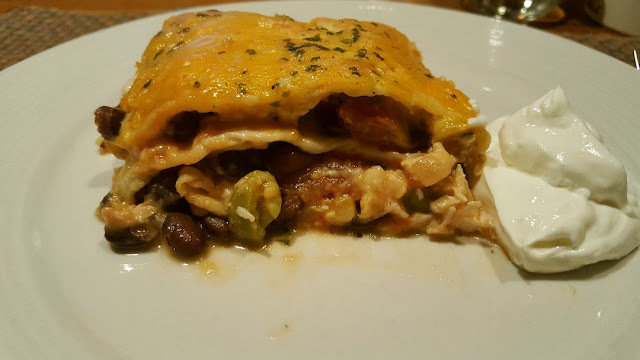 Rain's Garden: Baked Enchiladas and a Muddy Situation! I'm feeling quite blessed lately. The winter that just passed made me grateful for mornings like this one. I don't know what's going on...maybe my age and lady phases of my life (how's that for being "PC"?? )...either my nights are filled with nightmares (one recurring since I was 8 years old) or painful muscle tensing or night sweats - all of which are symptoms of this "great" change I'm going through at 49 years old, sigh. This is another big annoyance in my life that I have no control over so I'm just allowing it to happen without getting too stressed about it! Going through these hard times makes me very grateful for a day where I wake up after eight or nine hours of sleep! Anyway, I was blessed with the latter all last night - the cold night sweats. As I shivered my way to another extra blanket at 6am, I just gave up and started my day! I'm glad I got up though, I saw the sun rise. And since it's Good Friday, the village is as quiet as a mouse, all I heard were the birds chirping and the river flowing. The girls are so happy to be outside too. 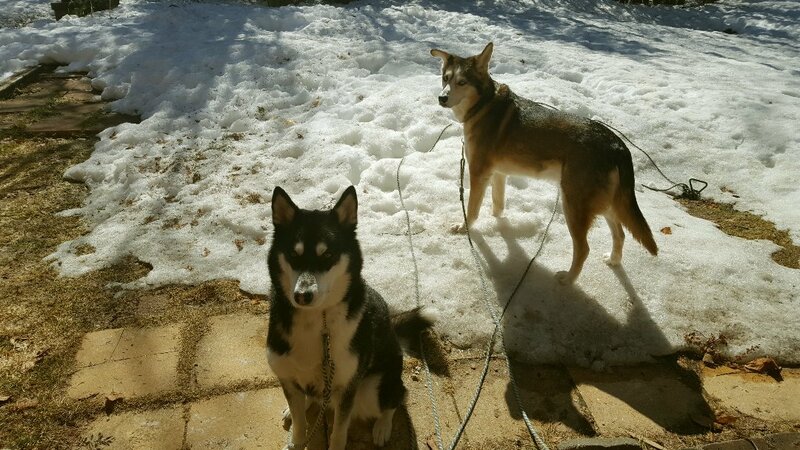 Charlie and Marlene will stay out on the snow all day long until it's time to eat now! I've mentioned that we are currently renting...our landlord is, how can I put this...cheap and lazy, there I said it! 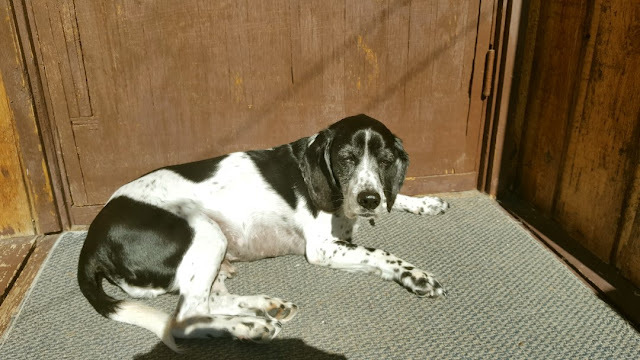 Our driveway is dirt and this is our third spring here and every year there is a window of time where you just can't use the driveway or this happens. Guess whose car this is? The CHEESE NIP lady's!!! Okay, she's not the Cheese Nip lady but she's the one from the government who came to pick up those burned crackers and drop off some forms for me! OMG...I felt so bad, but I told her to park on the street!!! 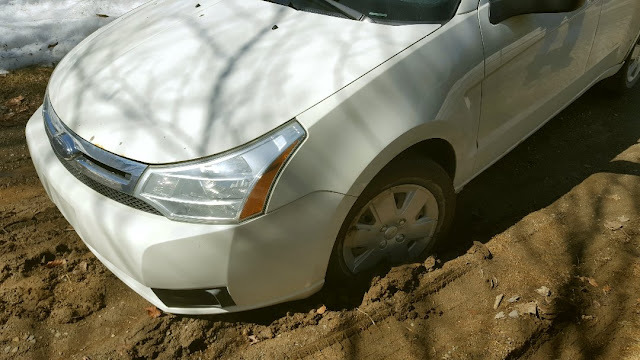 This was the scene after the tow truck got her out...we're kind of stuck in the driveway for a few more days. We're going to try to dig a trench so that the mud will drain...but the ground is still really cold. Usually I back up on to the remaining snow and gun it out of the driveway so I don't get stuck! when I have to park back in, I take a running reverse from my neighbours lovely concrete driveway across the road. Of course though, there were the usual promises of a new drainage system this summer from the landlord...I'm not holding my breath, anyway, at least we don't have to go out before Wednesday! Any tips for a bandaid during the thaw? More spinach sprouts are popping up. And more beet sprouts too. I've never grown these two crops before. I hope they're successful! The parsley hasn't shown any signs of life yet. 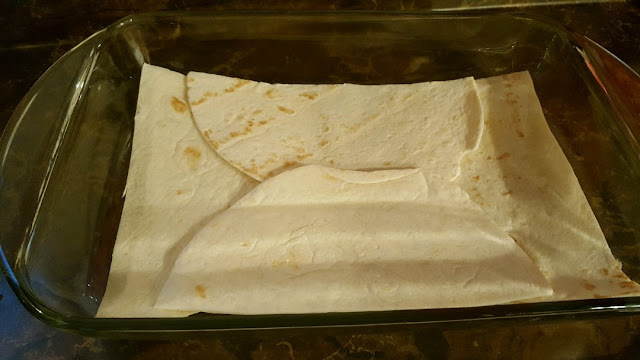 Last night's dinner was Baked Enchiladas. We're still on our Mexican-themed food kick. This couldn't be easier to make. 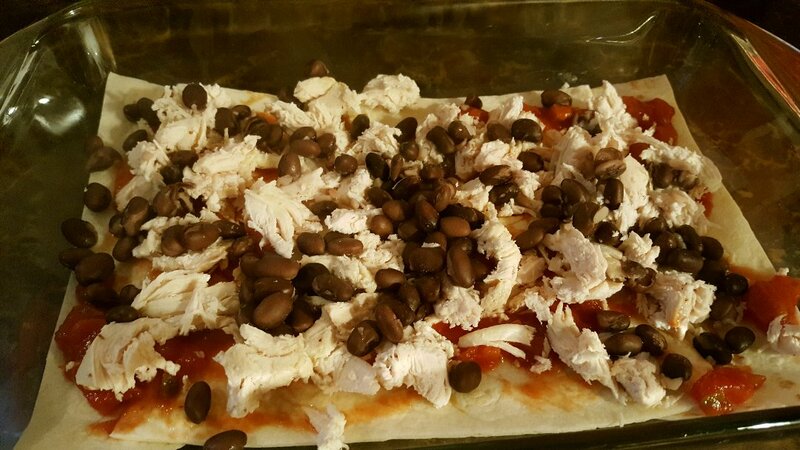 Just layers of tortillas, salsa, cooked chicken, cooked beans, olives, chives, tomatoes and topped with cheese and cilantro. Do you know how to de-pimiento-fy an olive the easy way? I DIDN'T. Alex has a food intolerance to peppers, and those little pimientos in the olives are just as bad for him so I always take them out. I used to slice them in half then jiggle them out the slippery frustrating way. I don't know what made me think of this, but if anyone can use this tip, go for it! Life is now much easier lol! I saw grass and mud at your place, wow! One day there won't be any more snow, that one day might be summer and then fall starts the next day? Just giving you a hard time lol. I love all your little seeds coming to life :) yay :) can't wait to see how u like your sprouts. I love getting up at 6 am. It gives me such a peaceful extra hour to my day. All to myself. 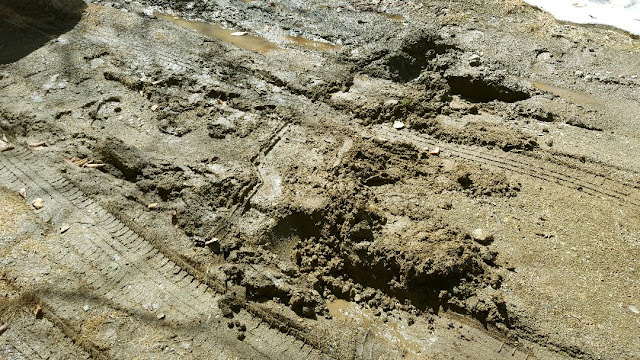 Oh god the mudd...how many times have we been stuck in our mudd...the truck, the tractor ... this year tho...it is pretty dry and we are taking advantage of it doing lots of yeard work. I started setting up my garden ... posted some pics yesterday and today I am raking the lawn...just finished one side of the house. Or evenig will be all about dying and painting eggs and baking easter bread. Ah, yes, the dreaded mud season. Is there anyone who doesn't have to go through this? We've been chomping at the bit to get going on working up wood for next season but our wood working area just happens to be one of the wettest spots on our property (who planned that?) and it's still too muddy to work there. Looks as though your "soil" has some sand in it? Or is it just how it looks in the picture? Your food always looks so delicious. We have about an hour to go before dinner and my stomach is growling. Don't give up on your parsley. Germination on it is 2 to 4 weeks! Lazy little seeds they are. 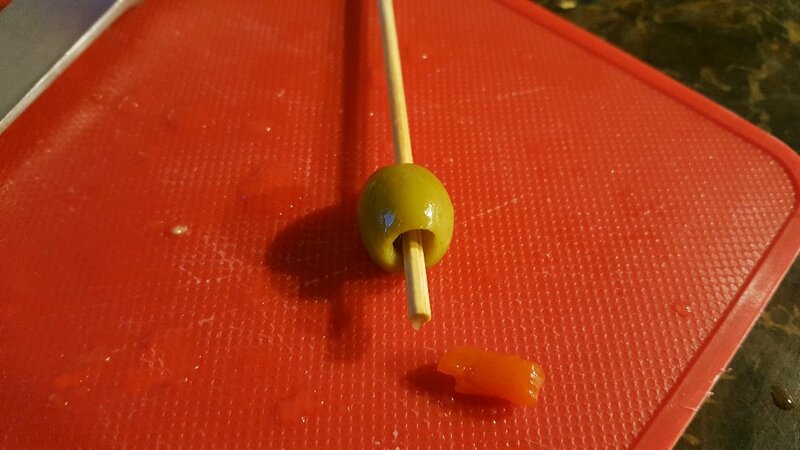 I think you've just proven there's more than one way to de-pimiento-fy an olive! It was a beautiful day here. We reached 20 degrees but a very strong south wind. This morning young Hunter was very hungry about 5:15 a.m. but I think what really woke him up was a thunderstorm!! Our first of the season...I was so happy! It didn't last long but that's ok. I will take what I can get. It smells so lovely outside after a storm. We are due more rain coming tonight so hopefully that will get rid of some of the dust and gravel from the winter. Look at the mud! Oh boy...mud is such a bugger to get stuck in. And she had to get a tow truck - oh dear! Will you let the landlord know your visitor got stuck? That might light a fire under him to put some limestone down or something...fingers crossed! That Moon shot is fantastic! I have a deep connection with the Moon and my first tattoo was the Moon! Nice capture! 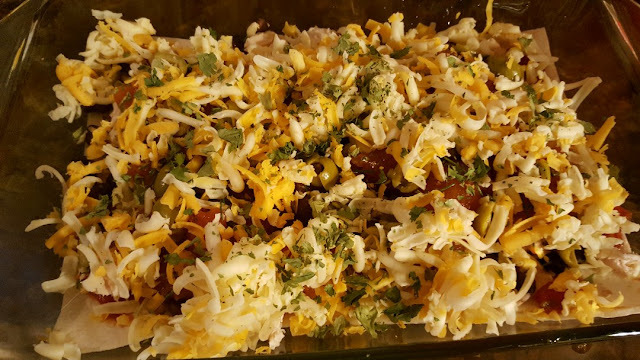 That baked enchilada is MMMMMMMMMMMMMMMMM!! :) That looks good. I thought I was doing good at doing a weekly menu and now I am truly impressed that you do a full month. Well done! I am going to strive to do just that too! I can only imagine how appalling the mud would be after the snow that you have had. Oh, my driveway does that too. I need to bring in some gravel. I wish I had a truck sometimes. Dinner looks good, as do your sprouts. Are you working on a painting? ;-) If so, have fun! Hi Nik :)) I can't wait to try the sprouts too, they'll be ready tomorrow but they look fine today. I just want to give it the 5 days recommended. I don't mind getting up at 6am as long as I've gotten to bed before midnight. I find that when I don't get enough sleep, I have more tension in the esophagus and food gets stuck more often. I know, it was a bit funny that she got stuck! And I offered to help push her car and put some wood under the tires...nope, she wanted a tow truck. The government paid for it of course! Hope you have fun making Easter eggs! I don't have any eggs left! I froze them all and forgot to keep a few shells intact, they're all in my "for the garden" pile! Hi Dianna :)) Yes, this blessed time...I know I could go see a doctor, get something prescribed...I just prefer to roll with it, but some days (and nights) it's more challenging than others, that's for sure. Oh thank you! I LOVE the moon. I am a nature-lover and I really feel like I live by the moon's cycles, it feels natural. Aaah...I hope you can find the time for the monthly menu planning, because if I were working full-time, I don't know that I could do it, honestly. I really take my time and spend hours in the cookbooks, then with the flyers. I just finished the plan this afternoon! Tomorrow is flyer day. Hi TB :)) Yeah, the mud...but really it's not all that bad in the yard, in fact there is still quite a bit of snow. But that driveway is an annoyance. I spent hours "texting" the landlord...he did the usual "wow, that's not an obvious problem, I'm not sure how to handle it" etc...same deal as last year. I think that I will give up on him and we'll just stay house-bound for 3 weeks every April! Love your moon picture and I have a Kodak and you're right.....I cannot get good pictures of the moon but I can't afford a nice camera so I will just enjoy others great moon pics! LOL! Look at your seeds and your sprouts! Hurray! I will have to try your enchilada recipe as that does sound easy and not too spicy. I with I could help you on the driveway but when I had my little farm it was gravel and LOTS of it in the Spring! Good tip on the olive! Thanks! Thank you Sam :)) The camera I have is a real splurge, I would never have bought it on my own, so I'm glad Alex got it for me as a gift! I love nature and especially the moon, and I also had a Kodak digital camera, it doesn't have a good zoom on it, but I did take lots of nice photos until I somehow lost it in the woods one day.